3 interesting Rheumatoid disease news items I knew you’d want to read! Researchers found that steroids applied directly joint tissues had a specific affect on disease activity that methotrexate did not have. Glucocorticoids (dexamethasone) decreased citrullination and PAD (peptidylarginine deiminase, an enzyme commonly produced in RA inflammation) expression. Researchers showed that citrullination and PAD expression in the synovium are dependent on local inflammation and can be targeted by glucocorticoids. The language is technical, but scroll through the pictures. Slides show the presence of the citrullinated proteins or the PAD enzymes and how they are changed or not by treatments. Read more about glucocorticoids reducing citrullination & PAD enzyme levels with local inflammation in RA. See also, a related editorial Inhibiting citrullination in rheumatoid arthritis: taking fuel from the fire, with fascinating comments about the origins of Rheumatoid disease activity. A new Danish study reports a “novel finding of increased risk of atrial fibrillation in rheumatoid arthritis.” The study of more than 18,000 Rheumatoid Arthritis patients found an increase of 40% in atrial fibrillation risk and an increase of 30% of stroke risk. Researchers conclude that the arrhythmia should be considered a significant part of cardiovascular risk assessment of these patients. Read more of Risk of atrial fibrillation and stroke in rheumatoid arthritis: Danish nationwide cohort study. According to the study, “a close and accurate assessment of disease activity is time consuming” and the shortage of clinicians means they may need to identify “candidates for reductions in outpatient contacts.” They note that several previous studies showing the value of patient-derived joint counts in RA “were controversial, partly concluding that patient derived joint counts are simply not accurate enough.” However, this is the first study to separate patients in remission from other patients for the purpose of self-derived joint counts. 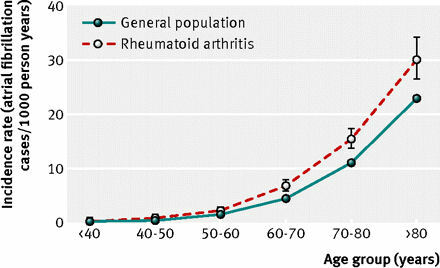 Read more: Value of self-performed joint counts in rheumatoid arthritis patients near remission. Postblog: There are other critical concerns related to assumptions in this last study. Most people with RA do not have disease activity measured by joint counts or HAQ assessment or anything else on a regular basis. Remission of RA disease is defined in several ways and studies show 96% of patients judged to be in clinical remission still experience damaging disease activity which is not visible to the naked eye, but can be apparent with the use of ultrasound or MRI. Coming soon: New study shows sustained remission is rare. This requires careful analysis. I can attest to the atrial fibrillation from RA. The last year I have had no real increase in joint pain, except my right knee joined the RA party; but I have had to see multiple specialists after a bout with bronchitis in Jan. 2011 refused to go away. After 3 antibiotics the infection was gone, but I was left with shortness of breath and a resting heart rate over 110, and my hemoglobin dropped to 8.2. That February I saw a pulmonologist, who said I had mild adult onset asthma (at 55 y/o)and some atelectasis (mild collapse of lung tissue) at the base of both lungs. Even though I was short of breath, my pulmonary function test was normal. He sent me home with inhalers, steroid inhalers and an appointment for the hematologist, thinking the rapid heart rate was due to the anemia. Went to the hematologist, he hospitalized me for blood transfusions and did all sorts of lab tests, since I had no visible signs of bleeding. The lab tests came back indicating I do not absorb oral iron through my gut, so I would need IV iron infusions, 4 over the course of 4 months. After the blood transfusion, most people feel so much better the next day..I still felt like crap and had the rapid pulse and shortness of breath. So in April I started seeing a cardiologist. My EKG was pretty normal, but my blood pressure was creeping up, so they gave me a calcium channel blocker and a beta blocker. Those meds helped slow my heart rate to under 100, but I still had the same symptoms. The next visit I was started on daily aspirin to prevent any clots that could be formed during the periods when my heart speeded up, then down. I had a stress test, echocardiogram and an MRI of my heart..they saw no abnormalities. They sent me to an endocrinologist to rule out adrenal gland problems that could cause a rapid heart rate….the tests all came back basically normal. She sent me to see an allergist/immunologist to see if I had systemic mastitis. 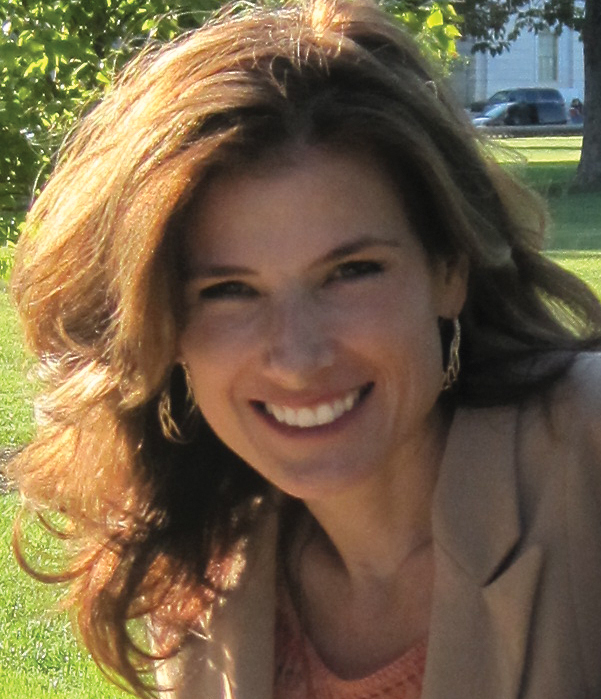 I walked in to his office, he took one look at me and asked how long i had the rash on my face….he thinks I have lupus. Went through another round of labs and they were minimally off..my C3 and 4 complements were elevated. He did a skin biopsy to rule out the mastitis and scleroderma, and did 2 days of allergy testing (I am allergic to bayberry and shellfish)He took pictures of my face rash and sent his findings to my rheumatologist, who blew off his diagnosis that I have a lupus like syndrome. Now it’s March 2012. my anemia is “cured” but I still have the higher heart rate, the shortness of breath, and basically can leave the house to do one chore that doesn’t involve much walking. I had more cardiac tests last week, and get the results April 4th. My cardiologist wants to do an ablation (the burn off) of my SA node, which is the heart’s pacemaker, and install a pacemaker/defibrillator once I am not managed by the medication. I am still off work, now on long term disability and awaiting my SSDI decision. I would love to go back to the RA just making my joints sore and be able to breath again. People ask why I don’t wear oxygen to help my breathing…it would not help because my oxygen levels are over 96%. The only exercise I can do is 2 minutes a day on my exercise bike at a very easy setting, or walk through the grocery store….by checkout time my pulse is zipping, I am wheezing and I am drenched in sweat. Oh, and I have a cataract starting in my right eye. I know my enbrel isn’t working as well as it did 6 years ago, but my rheumy won’t change me until my heart is “normal” again. 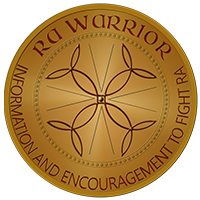 The collateral damage is one of the things people don’t understand about RA. To me, it’s the worst part. I know what to do if my joints hurt, but I need all these new doctors to tell me what to do for all these other problems. I’d love to be able and get out and walk around Epcot Center like I used to…but my ticket is collecting dust while I wait to see if my insurance will pay for a scooter. I would love to have a little independence for a change, but I guess it won’t be this week. Laurie, I’d go to the study linked to in this post & print them out to keep for your drs to see. Just in case there is any new information there that helps them understand whats going on with you. As I have mentioned several times on various fora and blog comments, I recently had my hands flare up – 3 weeks before my next rheum appointment. I grabbed up my cellphone (that takes pictures) and snapped a few pics of the inflamed joints. When I went into my appointment (with totally normal-looking hands) I showed my rheum the pics I had taken. He looked through them and said, “Oh! That’s not right!” And he proceeded to make some radical changes in my medications. Now, my rheum is extremely supportive, believes me when I talk about my flares, believes my joint counts and my HAQs. He bases my treatment on a combination of those subjective means and the objective means of lab tests and the occasional radiographic studies. Perhaps we should ask for a research project involving use of digital photos in documenting disease activity among selected, established RAD patients(RA, PA). It certainly would be objective, as opposed to joint counts and HAQs – which are admittedly subjective, however acceptable. Cost would be minimal. OOPS, I meant to continue on, from: “He bases my treatment on a combination of those subjective means and the objective means of lab tests and the occasional radiographic studies.” But he told me the pics started a new thought process that suggested the medication changes. Now THAT was interesting to me. I’ve started keeping a photo record of my hands and feet – the things that are visible. So far, it looks very interesting! I can go back through them, and remember things I normally would forget. I’m very glad for all the info I am finding here. My husband has had RA for 43 years; he is 66. He’s on Remicade and methotrexate and has done great for 7 years with few side affects. Just in the last year or so he has had two flare ups and last month moved the Remicade infusions closer together, every 4 weeks and increased methotrexate from 40 to 60mg. Took the methotrexate a week ago with folic acid and had nasty reaction on Thurs., severe fatigue and stomache upset, by Sat. p.m. was in hospital with chest pains, pleural effusion, RA lung? which we knew a little about, but not enough! And then while in hospital on Monday a.m. he proceeded to have an extended episode of A-fib! Something else we didn’t know was related to RA! Not sure what my point is except I have spent some time perusing this site and am exceedingly greatful for the timely and easy to understand research that I find here. Am now armed with printouts of info to take to my husbands rheumatologist. My best to you and your husband. Thanks for sharing. It does help others. We really are closer to the beginning than the end of learning how this disease works. 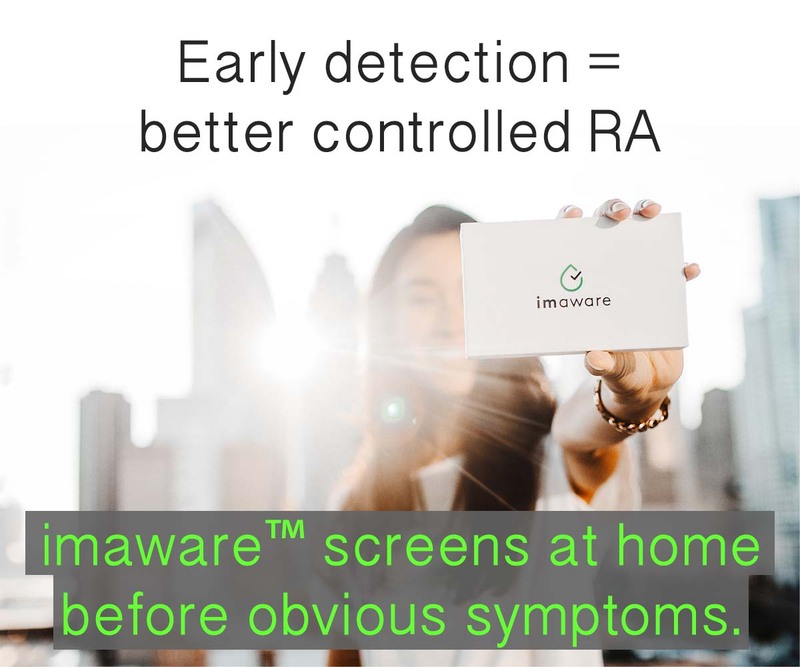 For years people assumed “coincidences” with it until research began to show that the systemic issues with RA – such as heart or lung or GI may actually be connected to the disease. One more reason to change the name of the condition to “disease” – to promote research and better understanding by medical personnel and patients as well. Interesting on the A-Fib aspect. I began having migraine aura (no headaches) at the same time as my a-fib began. I had no idea what was going on with my vision and didn’t mention it for a couple of years. I mentioned the aura to my cardiologist, finally, and he explained I was having a migraine. That was nearly 10 years ago. I have been suffering with pain and fatigue for about 7 of those years. Lupus and RA were ruled out by my primary physician since I was negative for ANA and Rh factor. After a lymphadectomy and a biopsy on a skin rash last summer, all the specialists agreed that I had to have some type of autoimmune problem, but none had a clue what it could be. The rheumatologists and immunologists in the Tulsa area would not see me since I had not been diagnosed already. A few months ago, a rheumatologist in OKC agreed to see me and made the diagnosis of seronegative RA, but has yet to confirm that in his notes. I really had to push for years saying that something was wrong. I could feel it in my body. At least my GP new there was a problem and helped find specialists, but I still had to press the issue. Sorry for the long synopsis, but the link between a-fib and RA got me to thinking! Thanks greatly for your website. This just got me to thinking which came first? The atypical migraine aura and a-fib possibly were the first signs manifesting instead of in the joints? I should note that my Mother had RA and died of liver failure at 65 after decades of illness with RA. I just turned 60 and fought these symptoms for 10 years. At least, hopefully, I have some understanding of what is going on with my body. Given your family history & your own long history of RA symptoms before diagnosis, it’s likely all one cause. We see this all the time – hindsight after an RA diagnosis, years of other issues all make more sense. Anyway, thanks for putting your own scenario in here Mike. It’s a big help for other readers who read quietly looking for answers.